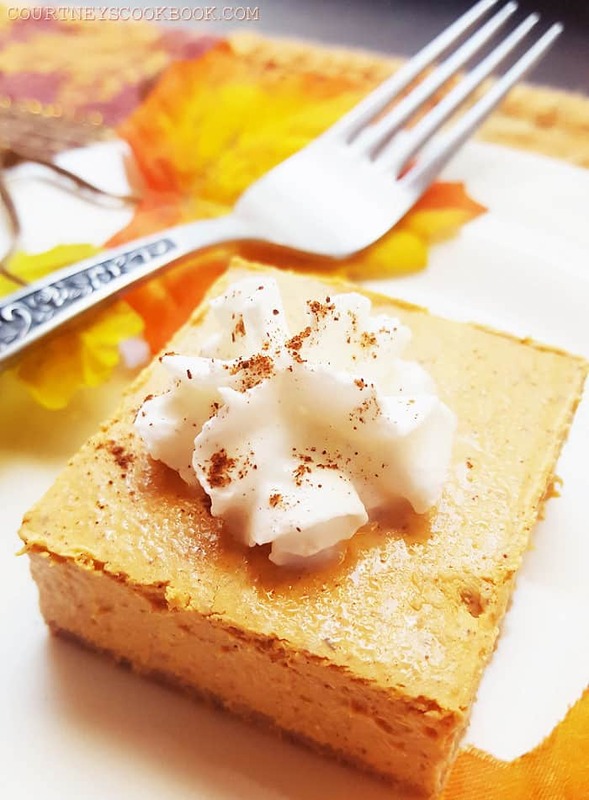 Celebrate the season with these rich and creamy pumpkin cheesecake bars! 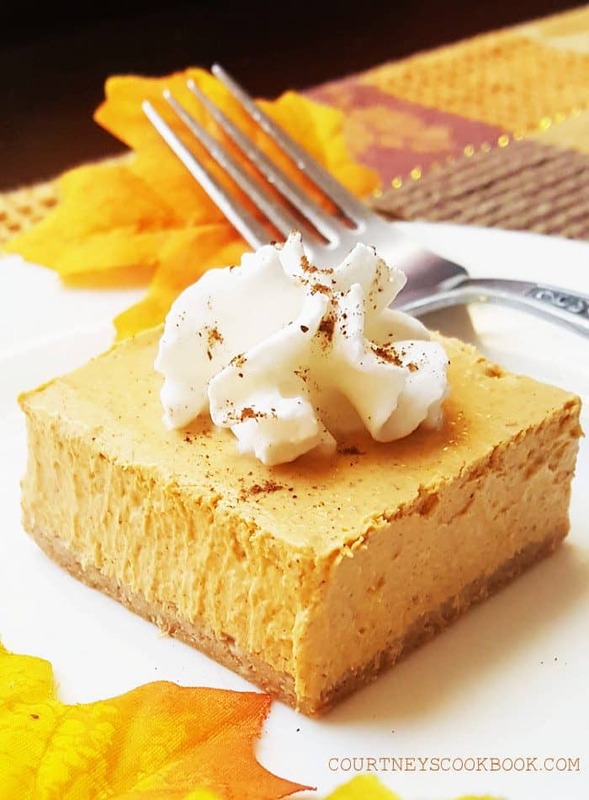 A few simple ingredient swaps make them a lighter, healthier dessert, and with vegan and gluten-free options, they are easily adaptable to your dietary needs. Hello Melrose Family readers! 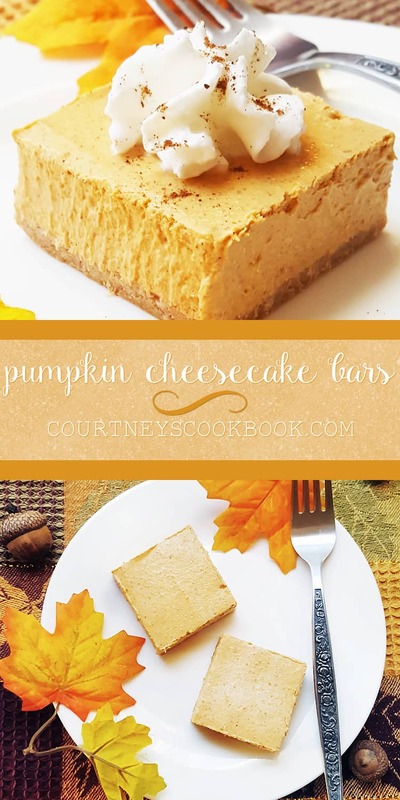 I’m Courtney from CourtneysCookbook.com, and I am so excited to be sharing this recipe with all of you today. I am a self-confessed pumpkin addict. There is always at least a can or two of pumpkin puree in my house, but never am I more pumpkin-crazy than I am in autumn. From the beginning of September until the very last forkful at Thanksgiving, I will try to cram as much pumpkin in my mouth as humanly possible. 🙂 From pumpkin oatmeal cookies to pumpkin spice toasted walnuts, I take pumpkin season very seriously. I am also serious about cheesecake. Cheesecake is my family’s ultimate favorite dessert– the one we can all agree on. If we’re celebrating something– whether it’s a holiday or a birthday or a special event– the chances are good that we’re also eating a cheesecake. It makes sense, then, to celebrate autumn by combining two of the things I love most! I make a pumpkin cheesecake smoothie that feels like dessert in a glass, but nothing quite compares to the real thing– and a smoothie doesn’t cut it as a dessert for big holiday dinners! 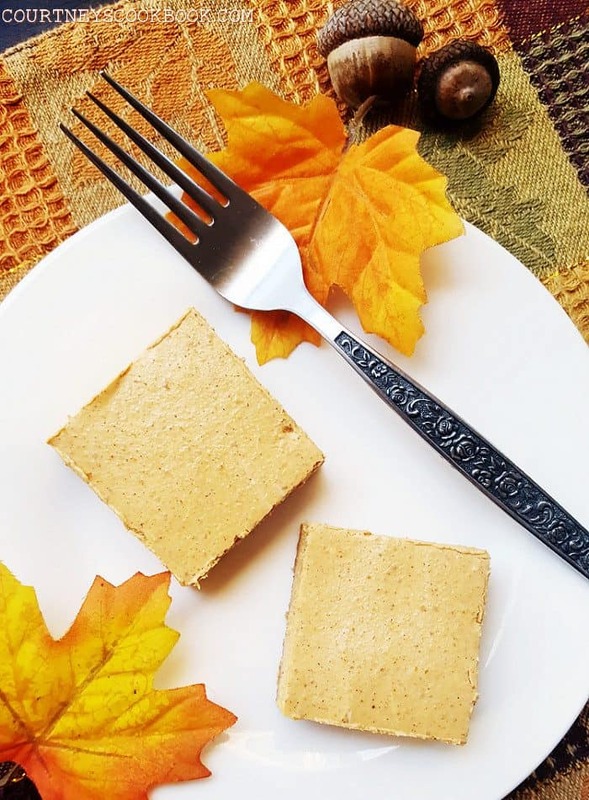 These pumpkin cheesecake bars are a great way to put the finishing touch on a special meal, and they are an especially great addition to a holiday dessert lineup. And as a bonus, they are healthier than your average cheesecake recipe. The crust is made without oil or butter. 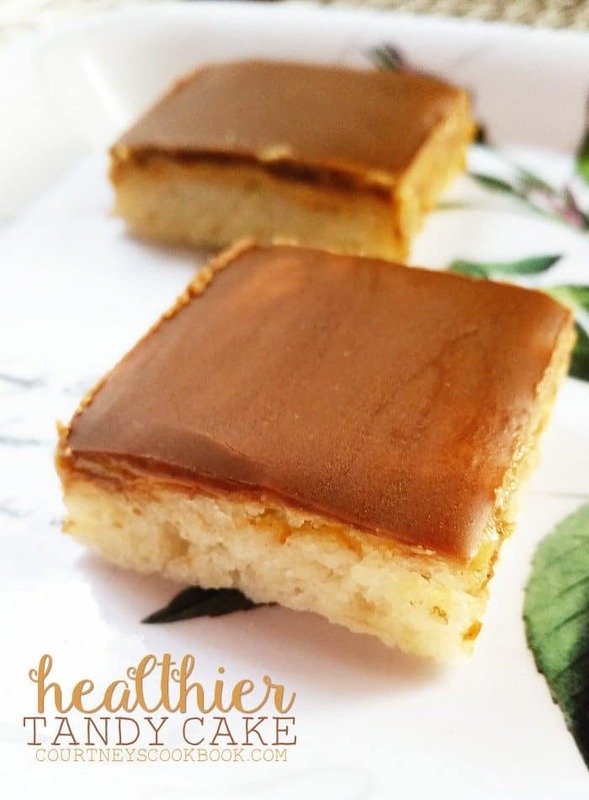 The bars are made with Neufchatel instead of cream cheese, which means they are lower in both fat and calories– and if you want them even healthier, you can substitute half of the Neufchatel with a cup of Greek yogurt! 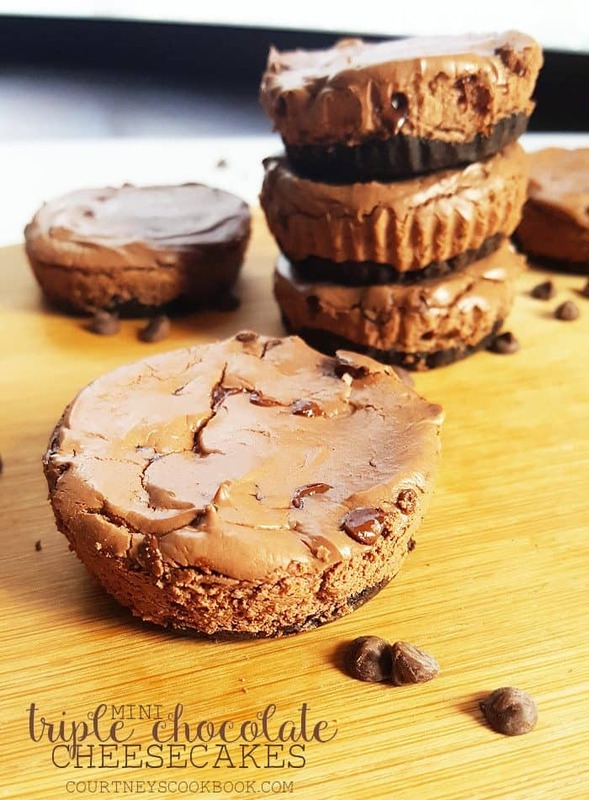 You won’t need any eggs, so they are easily made vegan with an appropriate cream cheese substitute. Need them to be gluten-free? There are a number of GF graham crackers on the market. Making healthier swaps doesn’t mean sacrificing flavor, though, and these bars are delicious (and approved by people less interested in healthy desserts than I am)! 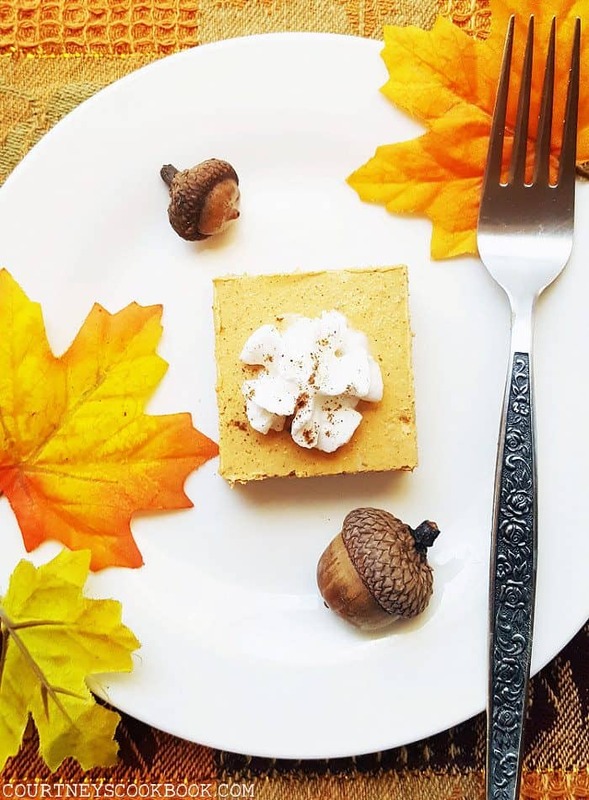 The warm spices bring out the best in the pumpkin, and everything comes together perfectly with the slight tanginess of the Neufchatel cheese. 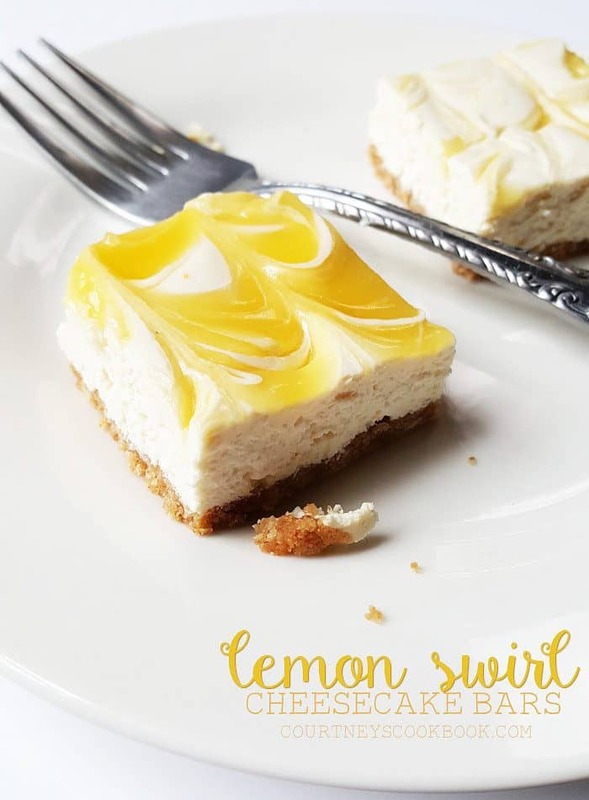 The rich flavors combined with the smooth, creamy texture make these a lovely and festive dessert for a beautiful time of year! 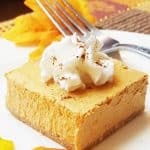 Celebrate the season with these rich and creamy pumpkin cheesecake bars! A few simple ingredient swaps make them a lighter, healthier dessert. Preheat your oven to 350 degrees and line an 8x8 pan with aluminum foil. Grease the foil with cooking spray and set aside. In a food processor, crush the graham crackers into crumbs. Add your milk a tablespoon at a tie until the crust begins to come together. Press the crust firmly into the prepared pan. Process the Neufchatel cheese until smooth. Add the pumpkin, sweetener, cinnamon, vanilla, ginger, nutmeg, and cloves and continue to process until everything is evenly combined. Smooth the cheesecake mixture evenly over the crust and bake for 20-22 minutes. Allow the bars to cool at room temperature for 30 minutes before transferring to the refrigerator. Chill for at least 4-6 hours before slicing. Looking for healthier dessert options? Thank you again to Jenny for allowing me to share with you today! I love Pumpkin Pie, but I can never get anyone in the house to eat it. This looks delicious, I think it might convince the naysayers!